2016 Mike Marlar #157 Delk Equipment Sales / Knoxville Nationals Champ / Dirt Late Model diecast, by ADC American Diecast Company. Mike Marlar raced this #157 Delk Equipment dirt late model to victory in the 13th Annual Lucas Oil Late Model Knoxville Nationals. This diecast car features the Knoxville Nationals 2016 Champion logo on the decklid. 2016 Bub McCool #57 RBT Motorsports / Dirt Late Model diecast, by ADC American Diecast Company. The McCool Motorsports #57 RBT Motorsports dirt late model was raced by Bub McCool during the 2016 Dirt Late Model season. 2016 Dale McDowell #17m Bad Boy Off Road / Dirt Late Model diecast, by ADC American Diecast Company. The TDR Team Dillon Racing #17m Bad Boy Off Road dirt late model was raced by Dale McDowell during the 2016 Dirt Late Model season. 2016 Devin Moran #99m Dirt Late Model diecast, by ADC American Diecast Company. The Team DMR Donnie Moran Racing #99m dirt Late model was raced by Devin Moran during the 2016 Dirt Late Model season. 2018 Earl Pearson Jr #1 Lucas Oil / 2018 Dirt Million Winner / Dirt Late Model 1/64 diecast, by ADC American Diecast Company. The Dunn-Benson Motorsports #1 Lucas Oil dirt late model was raced to victory by Earl Pearson Jr "The Hurricane" in the Dirt Million at Mansfield Motor Speedway. This car features the Dirt Million 2018 Winner logo on the roof. 2018 Brandon Sheppard #1 Valvoline / Dirt Late Model 1/64 diecast, by ADC American Diecast Company. The Rocket1 Racing #1 Valvoline dirt late model was raced by Brandon Sheppard during the 2018 Dirt Late Model season. 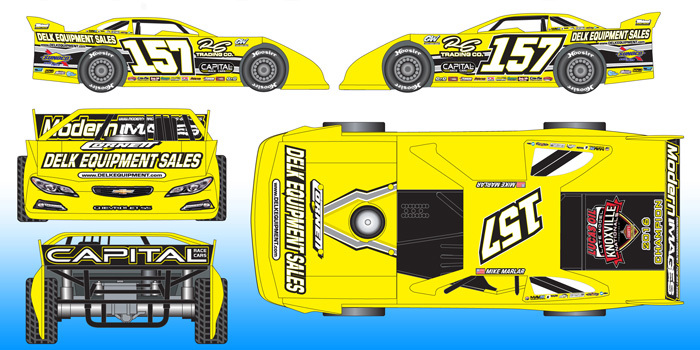 2018 Chad Simpson #25 Liebe Trucking / Dirt Late Model diecast, by ADC American Diecast Company. 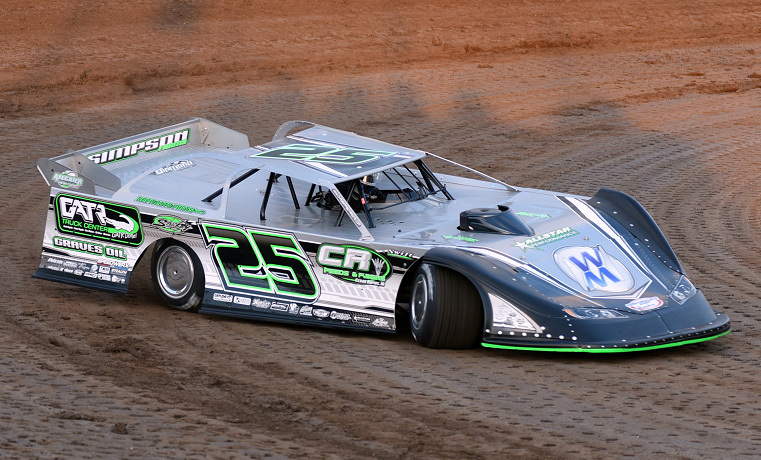 The Team Deuce Nickel #25 Liebe Trucking dirt late model was raced by Chad Simpson during the 2018 Dirt Late Model season. 2017 Chad Simpson #25 Liebe Trucking / Dirt Late Model 1/64 diecast, by ADC American Diecast Company. The Team Deuce Nickel #25 Liebe Trucking dirt late model was raced by Chad Simpson during the 2017 Dirt Late Model season. 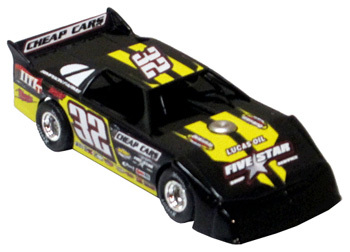 2016 Chris Simpson #32 Dirt Late Model diecast, by ADC American Diecast Company. 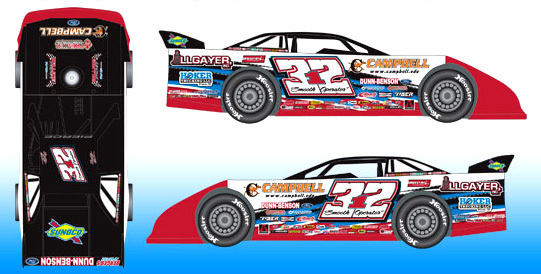 The Chris Simpson Racing #32 dirt late model was raced by Chris Simpson during the 2016 Dirt Late Model season. 2016 Kevin Weaver #B12 Jimmy John's / Dirt Late Model diecast, by ADC American Diecast Company. Kevin Weaver "The Flatland Flash" raced this #B12 Jimmy John's dirt late model during the 2016 Dirt Late Model season. 2018 Ricky Weiss #7 North-South 100 Winner / Dirt Late Model 1/64 diecast, by ADC American Diecast Company. 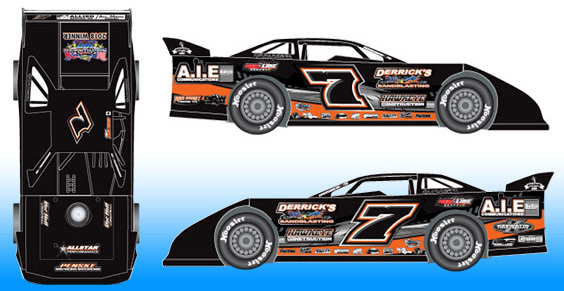 Ricky Weiss raced this #7 dirt late model to victory in the 36th running of the North-South 100 at Florence Speedway in Union, KY. The 2018 North-South 100 Winner logo is featured on the decklid. 2017 Eric Wells #18 PennGrade / Dirt Late Model diecast, by ADC American Diecast Company. The Wells Racing #18 PennGrade dirt late model was raced by Eric Wells during the 2017 Dirt Late Model season.